Journalism is more than writing: photography, video making and sound engineering all play a major role in developing engaging multimedia content. This course builds the technical and critical skills essential for a career in the contemporary environment. Top 3 amongst London competitors for student voice in Journalism (National Student Survey 2018). We host Journalism.London, a student-led content platform for you to publish videos, audio and written news and features as well as social media and live streaming. Our academics have worked professionally in the journalistic and television industries; our guest lecturers are at the forefront of contemporary journalism. 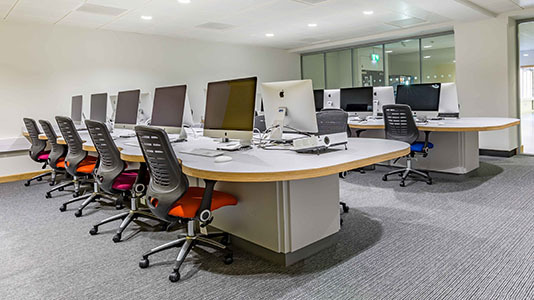 Facilities include multi-million pound Elephant Studios, including news rooms, sound booths and editing suites to become fully immersed in the field. Past students have secured placements at: the BBC, ITV, London Live, Reuters, the Guardian, the Daily Mail, the Evening Standard, The Sunday Times, The Daily Telegraph, Time Out and The Independent. We’re short walk to the Southbank Centre, National Theatre, BFI IMAX, Tate Modern, Royal Festival Hall, The Old Vic Theatre, and The Young Vic. Preparing for the live YouTube broadcasts as part of Journalism.London was one of the best parts of the course. Working behind the scenes in a live environment requires a high level of professionalism and co-operation. If you're interested in animation, app development, interactive media or graphic design, our BA (Hons) Digital Design focuses on delivering creative skills essential for work in these exciting and expanding career pathways. Studying Journalism at LSBU meant that Ellie-Louise was able to take advantage of a wide range of opportunities outside of lectures and seminars: including working for Sky News during the 2017 General Election. 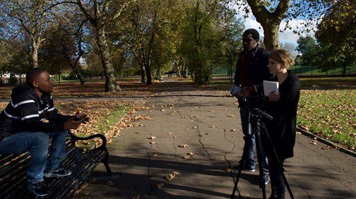 How one LSBU graduate feels her dream of becoming a news presenter has been helped by Elephant Studios. All modules are assessed by one or more of the following: project work accompanied by a critical commentary, timed assignments, production of magazines/broadcast bulletins/websites, work attachments (recorded and evaluated), internships and work placements, production of portfolios of work, presentations to seminars, presentations of projects for peer review, examination, essays, and a dissertation. You'll learn the traditional tools of journalism, including researching, writing, proof-reading, sub editing and designing/layout pages for both print and online publications. Web skills are central to the course – you'll carry out a range of multimedia tasks (including photo, audio and video reporting), assemble audio/visual material in multi-layered storytelling formats, curate material online in the most creative ways, and develop a basic understanding of web development and coding. Methods of assessment for course overall: 89% coursework. From the beginning of the degree you’ll be treated as a professional journalist. Your work will be uploaded to the student news platform (lsbu-multimedia-journalists.co.uk), designed as a starting platform for your work. 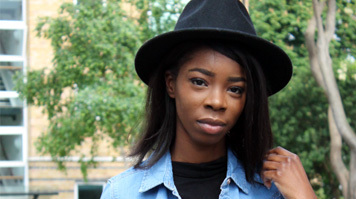 Articles will cover a range of topics from around London. You'll source stories, provide your own images and design layouts. In your third year, your work will be featured on journalism.london, an impressive collection of student pieces and a platform to publish videos, news and features. You'll build from your experiences in the first and second year to create and contribute to a legitimate Journalism website. This module offers a practical understanding of the essential journalistic practices. It provides an introduction to journalistic research, storytelling and writing techniques alongside an introduction to the practical application of media law and ethical practice and civics. Specifically, the module will cover finding stories in an identified ‘patch’ or postal code location, writing skills, information gathering, news reporting, dealing with contributors and interviewing skills. You’ll become familiar with different writing techniques employed in news reporting and feature writing across multiple platforms and media. You’ll also become proficient in journalistic interviewing and research skills. Assessment: PORTFOLIO: two 200-word news stories and one 500-word profile (80%); and PROFESSIONAL CONDUCT: submit a workbook covering the stories submitted for the Portfolio including research, sources, issues and processes. Attendance and punctuality will also be assessed as part of the professional conduct element (20%). The aims of this module are: to promote comprehension of the impact of the internet and social media on newsgathering and writing; to enable you to develop basic skills in creating and launching a website, writing for the web, uploading content online, visual thinking and using relevant digital tools to engage audiences online; to encourage cross year collaboration on content for the course site http://journalism.london (specifically by writing reviews). Assessment: WordPress website with three event reviews (50%), online test covering creating a website/content online and basic WordPress coding (30%), and professional conduct through a workbook covering the stories submitted for the website including research, sources, issues and processes. Attendance and punctuality will also be assessed (20%). This module will explore the wider social and cultural contexts within which journalism is practiced in our society. The module will focus on issues such the development of the news media (press, radio, television and online); the role of journalism as a ‘public sphere’; the rise and fall of ‘objectivity’ as a professional ideal and its value for the public interest; the constraints within which journalists work, in terms of ownership, regulation and the relationship with the audience; and the emergence of new media and ‘citizen journalism’, and their implications for professional identity. These issues will be addressed by both reviewing the variety of ways in which journalism has been understood as an object of academic study and by critically evaluating how they affect news representation and discourse. Assessment: 1,500-word essay (100%). This module will provide an introduction to the production techniques that are relevant for a range of multi-platform broadcast journalistic tasks. It will equip you with the essential foundational technical skills needed for the rest of the degree. This will include creating and presenting simple news bulletins, and operating the radio studio and newsroom within ethical and legal frameworks. 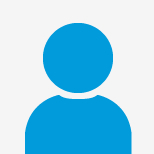 The module will give you grounding in the broader areas of production processes, including file management and technical work flow, studio/location safety, and the ethical and legal consequences of production work such as copyright, privacy, permissions and trespass plus relevant codes of practice. Finally, the module aims to introduce you to the essential skills that go hand-in-hand with content production - editorial planning, time management and teamwork. You’ll work across desks (such as entertainment, sports, business) and continue to develop your patches and sources. One-to-one voice training will also be delivered in line with BJTC requirements. Assessment: a portfolio consisting of a variety of broadcast outputs (80%), and a workbook covering the outputs submitted for the Portfolio including research, sources, issues and processes. Attendance and punctuality will also be assessed as part of the professional conduct element (20%). This module builds on the skills and knowledge learnt in Semester 1 and continues to outline the range of digital skills that journalists are required to have. Specifically, this module aims to introduce you to the principles of data journalism and infographics, with an overview of the importance of design for clarity of understanding. The module will enable you to understand the importance of data for sources, train you in the language of design, enable you to think critically about visual representations of stories, and introduce you to the principles of typography and picture editing. Assessment: 500-word feature and infographic (80%), and a workbook covering the outputs submitted for the Infographic including research, sources, issues and processes. Attendance and punctuality will also be assessed as part of the professional conduct element (20%). Building on your foundational year, you’ll produce your own TV, radio bulletins and online news. You’ll rotate across a range of newsroom functions and will undertake pre-production planning, scripting and timing contents of news items or bulletins and producing on and off-diary stories. You’ll therefore develop your voice and presentation skills. You’ll continue to work in editorial teams across the year producing, presenting and broadcasting your own local news bulletins. During news days you’ll have the opportunity to evaluate and reflect on your practice. In addition, the module aims to reflect upon practice through sessional debriefs and constructive criticism. You’ll also continue to work on the student multisite platform lsbu-multimedia-journalists.co.uk which feeds http://journalism.london (LSBU student news web portal). Assessment: portfolio including one timed writing component and a minimum of three other stories (50%). And you'll be required to submit a critical explication of a news day including a legal, ethical and news values analysis. Attendance and punctuality will also be assessed as part of the professional conduct element, as will peer/tutor observations on news days (50%). This module introduces you to a range of debates around the future of journalism as it goes online, interactive and mobile. It will enable you to examine digital journalism within a theoretical context to support any independent projects or research papers undertaken in your final year. It examines how technology has radically changed the way we receive and interact with news and current affairs, identifies what constitutes journalism in a global digital news culture, and provides theoretical underpinning for the upcoming module interactive journalism. Assessment: a 3,000-word essay. This module will focus on the techniques involved in writing for newspapers in general and in reporting and investigating a controversial topic (crime, corruption, a scandal, etc.). This unit will allow you to work on news or an investigative project while exposing a ‘real life’ alleged failure of justice. The unit will address the techniques required for both the research/investigation (surveillance techniques, going undercover, archive research, use of anonymous sources, analysis of documents, scientific analysis, social and legal issues, and the like) and the writing of a final news piece. The unit will also address the consequences of investigative journalism, for the individual and for the society as a whole. Assessment: One 1,500-word journalistic investigative feature (80%). And you'll be required to submit a full notebook with notes and sources clearly recorded. Attendance and punctuality will also be assessed as part of the professional conduct element (20%). This module will further develop your skills in a more advanced multiplatform setting through continuous weekly practice and feedback. You’ll practice your broadcast newsgathering skills through a series of workshop and practice news days. In addition, the module will require you to reflect upon practice through regular debriefs and constructive criticism. Workshops will focus on storytelling through interactive journalism techniques, and introduce novel forms such as newsgames. Assessment: portfolio including one interactive piece and one other story (50%). And you'll be required to submit a critical explication of a news day including a legal, ethical and news values analysis. Attendance and punctuality will also be assessed as part of the professional conduct element, as will peer/tutor observations on news days (50%). Global Journalism will take as its starting point the economic, cultural and political shifts that have taken place since the 1990s. The module will explore contemporary ideas about ‘the global’ and critically examine both the utopian and dystopian claims that have been made about global culture and technologies and the role of contemporary journalism. The module will focus on a number of key debates in relation to developments in journalism; the nature of globalisation itself, the emergence of global civil society and citizen journalism and ideas of press freedom. The module will also include contemporary case studies of global news events and journalists’ role in reporting them. Assessment: 1,500-word critical analysis of a current global news story (50%), and a 1,500-word 'Country Report' - an in-depth focus on one country to which you will be travelling to report on story of international significance (50%). You must identify and secure a journalism placement for 140 hours (approximately 20 days to be completed any time during the course up until Easter of the final year) that enables you to significantly develop your knowledge, skills and competencies. In addition to the placements you’ll be required to reflect upon the culture, conventions, practices, power hierarchies and representations of the organisation in which the work takes place. The focus will be on identifying what is happening in the chosen sector in terms of trends, issues, markets and your role in the organisation whilst on placement. The module also covers the creation and launch of professional portfolio websites to support your employability upon graduation. Assessment: Completion of placement, plus a 2,000 word placement report (30%), and the creation and launch of an external website (70%) housing all your best work completed over the course of the degree. The site will be assessed on the appropriateness for securing jobs and placements within the sector. This module consolidates the legal and regulatory concepts embedded in earlier modules. The module will deepen your understanding of the legal and social responsibilities incumbent on journalistic production in preparation for employment and real world context. The module aims to enable you to confidently make editorial and production decisions with careful consideration of the British legal and ethical boundaries in your work as a journalist. Assessment: completion of two 200-word court reports (50%), and a two-hour online Media Law exam, open book (50%). As the strategies of multimedia storytelling found on news organisations' digital platforms are becoming increasingly more sophisticated and as mobile devices overtake desktops and laptops as the primary way of accessing news online, understanding cross platform news consumption will be key to the success of journalists in newsrooms of the next decade – newsrooms where technology and editorial are convergent. This module will emphasise the fact that a platform can determine how a media consumer interacts with news and will allow you to explore the ways in which user engagement can be achieved through a number of methods including: live blogging, apps, news games and more. Assessment: One group project consisting of a complete multimedia factual package including audio, video and an interactive element, with a focus on mobile as a platform (70%). Students will be required to submit a detailed workbook explaining the process of completing the multimedia package. Attendance and punctuality will also be assessed as part of the professional conduct element, as will peer/tutor observations on news days (30%). This module provides the platform to showcase your abilities with a practical piece of journalism. The module enables you to produce an individual piece of work in an area of your choice, resulting in an applied project demonstrating professional competencies and skills. A journalistic piece of work in negotiation with the supervisor (90% element) plus one reflective essay of 1,000 words evaluating the challenges of the journalistic piece of work (10% element). The final year research paper provides the opportunity for you to conduct original research in an area of your degree or field of interest. The research paper allows you to use any of the theories, topics and methods encountered on your course. You’ll manage your own learning under the guidance of an academic supervisor. Lectures will offer general advice and guidance on research methods and describe different ways of approaching and structuring the research paper. The way your own research paper is organised and structured is best decided in consultation with your supervisor. Assessment: a 6,000-word research paper of 6,000 words (100%). During the course of your studies you'll gain professional exposure via work experience with leading media organisations, whether it be in sport, current affairs, fashion or wherever else you desire. Journalism is a notoriously difficult profession to break into, so gaining plenty of practical and professional experience is essential to securing a full-time paid position. Journalism.London will give you a working portfolio, real industry experience and provide you with a platform to show your skills. Recent graduates from this course have become Editorial Assistants, Junior Reporters and Freelance Journalists. AEG Live, ArtsAdmin, Battersea Arts Centre, British Youth Opera, Donmar Warehouse, English National Opera, Geneva Dance Company, Gustav Mahler Youth Orchestra Vienna, Kali Theatre company, Live Art Development Agency, Mariinsky Theatre St Petersburg, Monteverdi Choir and Orchestra, Musicians Benevolent Fund, RADA (Royal Academy of Dramatic Art), Ninja Tune, Riffi Theatre, Rose Theatre Kingston, Roundhouse, Royal Albert Hall, Royal Festival Hall, Royal Scottish National Orchestra, Sadler's Wells and Universal Music. Bankside Gallery, Dulwich Picture Gallery, Foundling Museum, Gasworks Gallery, Modern Art Oxford, Museum of London, Museum of Garden History, National Gallery, National Portrait Gallery. Childline, The Children's Society, Coventry City Council Performing Arts Service, Energy Saving Trust, Great Ormond Street Children's Hospital,London Borough of Hackney, London Borough of Lewisham. If you graduate from this course, you'll be able to apply for further study at postgraduate level, including in PR, photojournalism, broadcast, magazine and marketing. Contact with the teachers is great, they are all journalists and have some amazing experiences and contacts. We offer work placements throughout the course. You’ll gain relevant work experience in an appropriate organisation of your choice. In addition to this, we mediate job opportunities from within the industry. By the time you graduate, you’ll have carried out both a work placement and internship. 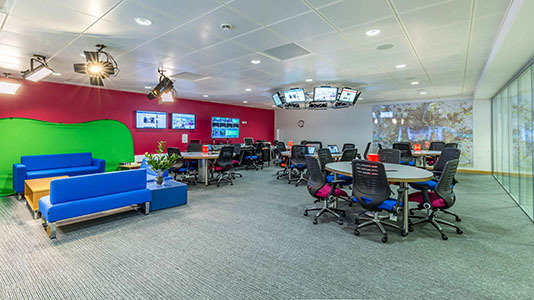 Workplaces include the BBC, ITV, London Live, Reuters, The Guardian, The Daily Mail, The Evening Standard, The Sunday Times, The Daily Telegraph, Time Out and The Independent. The Broadcast Journalism Training Council is a partnership of UK media employers and education providers with a shared goal of ensuring the highest professional standards of journalism training. BJTC accreditation ensures students complete courses capable of working as journalists in the production of online, multimedia and broadcast in the world of news, current affairs, features and documentaries. 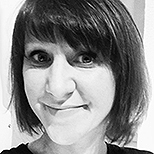 Dr Terry Daniels is a Senior Lecturer in the School of Arts & Creative Industries, specialising in visual culture, research methods, and mediated representations of gender and ethnicity. 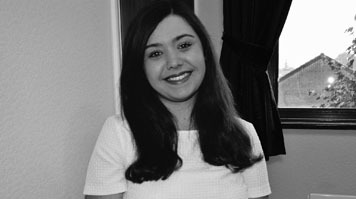 Her research interests include representations of ethnicity in British television, and historical research using documents and archives. 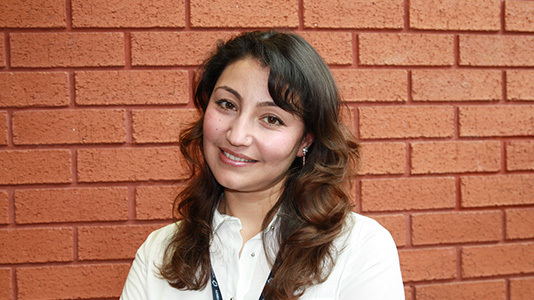 Laura-Jane Filotrani is currently the course director of BA (Hons) Journalism. 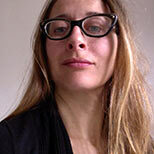 She comes from a background of consumer publications, trade papers, local news and the national press. She has worked cross-medium and cross-platform, and is an experienced website builder with the CMS WordPress. 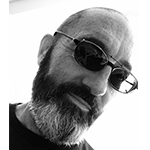 Prof. Philip Hammond is Director of Research for the School of Arts & Creative Industries. He is course director of BSc Criminology with Journalism, BA International Relations with Journalism, BA Politics with Journalism and MA Journalism with Development Studies. He has published widely on representations of war and conflict in news, film and video games; post-Cold War international relations; and the politics of environmentalism. 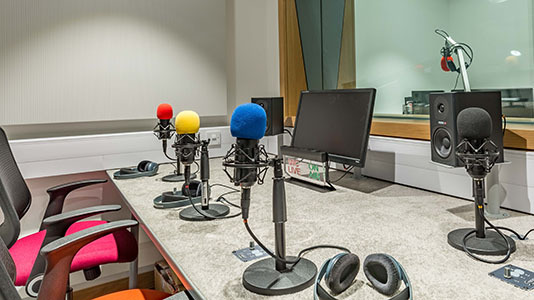 The radio studio and newsroom in LSBU Media Studios have been designed to recreate the working environment of national news organisations up and down the country. Working on MACs using the full Adobe Creative Suite, you'll be exposed to a constant stream of news from 3, 42” screens running 24h hour news feeds from a variety of agencies, allowing you to monitor and respond to stories in a live environment. The course offers learning through lectures, seminars, tutorials and workshops run by academics and professional journalists, as well as access to the facilities and cultural institutions of Southbank. We foster the skills essential to both traditional journalism and new media (developing production competences in WordPress, Indesign, Adobe Premier, Audacity and Photoshop). You'll develop your proficiency in research, writing, proof-reading, and sub-editing, as well as in producing audio, video and multimedia news packages. You'll have the opportunity to work on both collaborative and individual projects to a high professional standard. You will have appointments with your tutor twice a semester for 30 minutes throughout your course. You can contact your tutor for additional meetings or support by email or in class. LSBU and the facilities in Elephant Studios have helped one ambitious young presenter take the first steps to stardom she always dreamed of. GANGS is a documentary examining gang culture in London. It was produced by Benoit Chaves, LLB (Hons) Law student, and directed by Rafaela Kuznec, BA (Hons) Journalism student from LSBU. As part of her BA (Hons) Multimedia Journalism, Awesta Abdulmaman did a work placement at BBC Worldwide. Rory Smith is in the second year of a degree in BA (Hons) Multimedia Journalism. Rory has long harboured hopes of being a broadcast journalist working in the television industry in the UK. 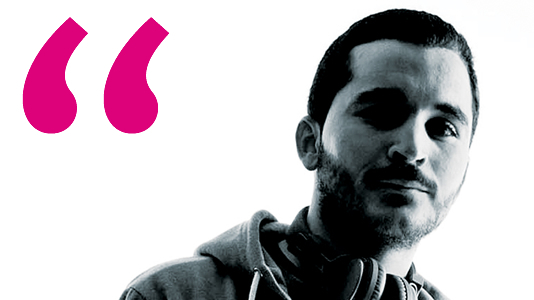 Now, he is well placed to fulfil his dream having developed his skills and experience while at LSBU. Souleyman Messalti has always been curious about the world—using journalism and photography to capture it. After university he wants to start his own magazine.